The company NVIDIA has just introduced its new line of graphics for laptops Kepler composed of high-end models NVIDIA GeForce GTX 680MX, GeForce GTX 675MX and GeForce GTX 670MX. These all new graphics cards NVIDIA GeForce GTX 680MX, GTX 680MX & GTX 670MX Based on the core series GK104 Kepler manufactured in 28-nanometer process, the GeForce GTX 680MX is considered the fastest mobile graphics chip market for consumer laptops. About the current range-topping the 680MX GTX has CUDA cores increases up to 1536 cores, with the same clock speed of 720 MHz, but with faster memory, 2 GB to 5 GHz. The NVIDIA GeForce GTX 675MX & 670MX are more modest than the previous one, but with outstanding values of 960 CUDA cores and 2 GB of memory, interface 256 and 192 bits, respectively. 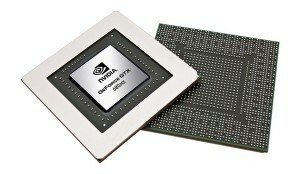 The new graphics chips should appear soon in high-end laptops and computers all in one AIO to which these solutions are focused. At present, price of these laptop graphics card is not yet revealed so stay tuned for more updates regarding the entire new graphics card including NVIDIA GeForce GTX 680MX, GeForce GTX 680MX and NVIDIA GeForce GTX 670MX.